There’s a sort of built-in disappointment factor in anything as limited as these ar. And, in this case, the lion’s share of that disappointment is mine. I really like this one. A lot. What keeps me from making more, or bringing the same blend out as a regular product? It just doesn’t seem right. Why not make some small changes? It wouldn’t be the same blend. Ah, there’s the rub. I like this one a lot, exactly as it is. I wouldn’t change anything about it. It’s not that it’s the greatest blend ever created, or the richest, or the most complex, or anything like that. It’s just really good, in the way that good chocolate ice cream is really good. I have this feeling that it’s a blend I’d be slow to grow weary of, and for someone as fickle as I am, that’s quite a statement. 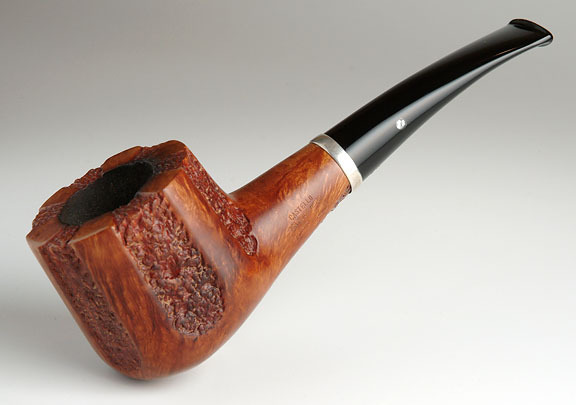 Very few tobaccos find themselves in that category for me, either my own, or those of others. I’m just too mercurial, and I find myself envying people who can find a blend they can live with for years on end. Even my beloved Garfinkel’s Orient Express #11 couldn’t be a daily staple for me. I like to mix things up. Of course, I could always make a batch of this for myself, and just put it away, but that really wouldn’t be much fun. The best things in life are better when shared. Fortunately, I’ve really been enjoying Lagonda, too, and it is not limited. But, it’s just not the same thing… See? Fickle.